Valentine's day will be here before we know it; and ladies, we all know the struggle is real when you don't know what look you're going for. Over the next few days I will be showing you three look ideas: Cutesy, Edgy, and Super Hot. 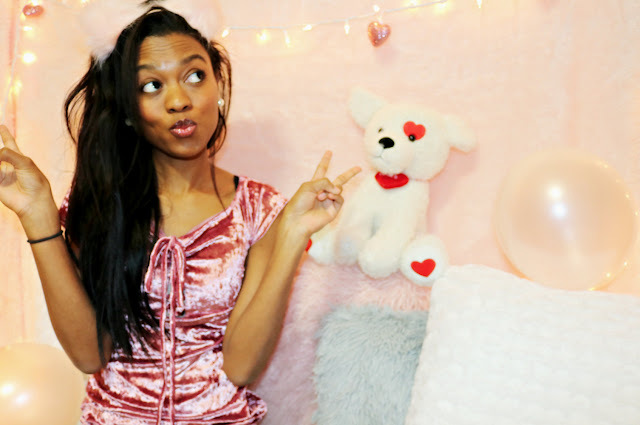 Today, I will be giving you some ideas on how to create a "cutesy" valentine look. This look is perfect for Galentine's day (a day with girlfriends) or a date with friends. The "cutesy" look is muted and soft, and it incorporates a lot of pinks and whites. I also paired this look with faux pearl earrings. I purchased mine from Claire's but you can find them anywhere. I know a lot of people don't like the look of pearls but they are so darn cute to me. I also kept my hair straight and simple with minimum makeup. Mascara, blush, and lip gloss is all you need ladies (for this look anyway). For an extra fun touch, I added a pink puff handband that I purchased from Forever 21 for less than $5. And there you have it. Simple but cute and perfect for Valentine's day. Thank you for your lovely comment on my blog! 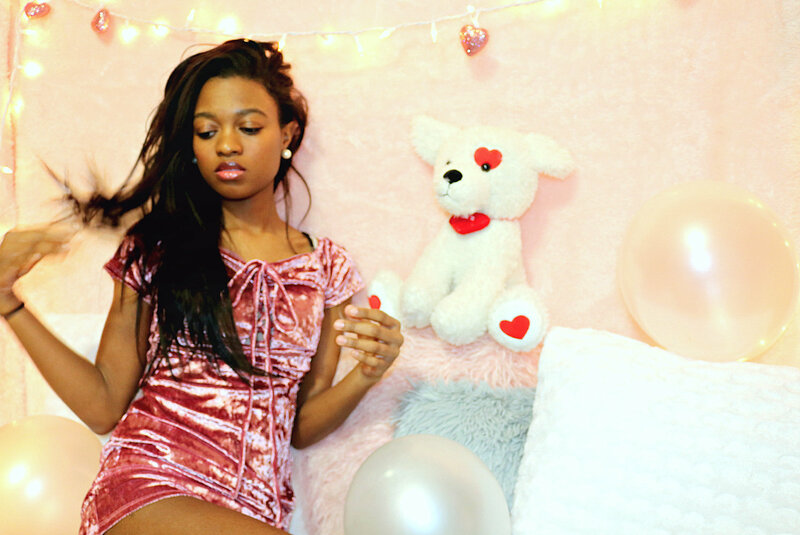 This look is just so cute and pink, perfect for valentines day. My clothes are always simple but it's fun to try new things. Pink is my favourite colour but I rarely wear it, you definitely pull off this look!